We have a rich, deep heritage spanning over 135 years. Founded in 1881 by the Sinsinawa Dominican Sisters, time has erased most of the original buildings, the fields, and the farm animals. 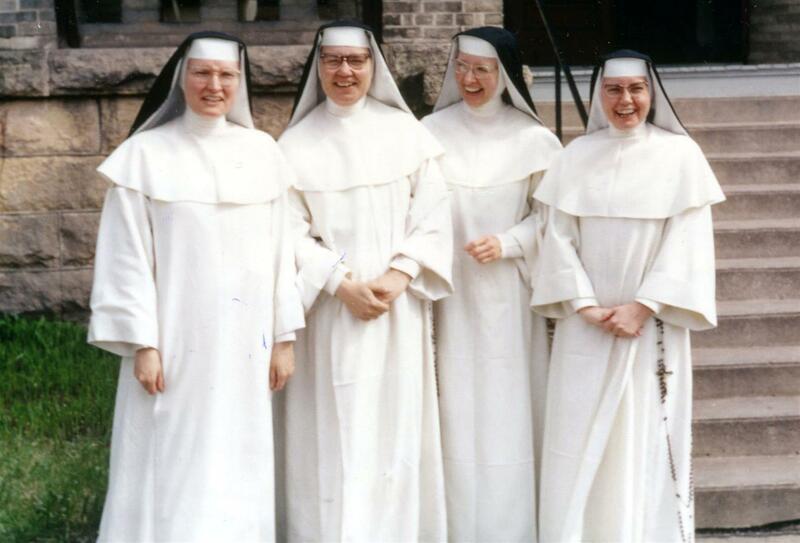 Gone, too, are the white habits of the sisters. 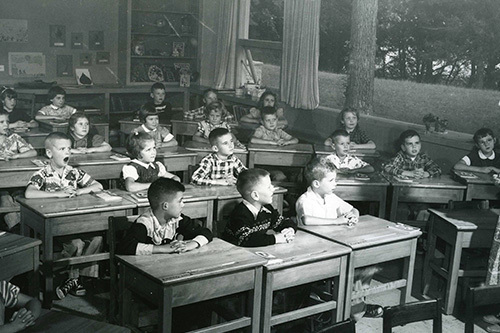 What has not changed is the sponsorship and presence of the Sinsinawa Dominicans and the dedication of our faculty and staff to their mission of providing quality education and service to the community. Statesman, businessman, soldier, and philanthropist, Cadwallader C. Washburn was elected governor of Wisconsin in 1871 and purchased the Edgewood estate in 1873. After losing his bid for a second term as governor, he turned his attention to the milling operation that he started in Minnesota. Washburn offered his property to the city of Madison, the state of Wisconsin and the University of Wisconsin, but they all declined because it was “too far out of town.” Washburn gave his estate and the surrounding 55 acres to the Sinsinawa Dominican Sisters with the stipulation that it be kept always for educational purposes. He moved to La Crosse, Wisconsin, where he had a large lumber operation and also focused on his company, Washburn-Crosby Milling Company, which had won national acclaim at the International Millers’ Exhibition in 1880. The name of this award-winning flour was changed to Gold Medal Flour and the company evolved to become General Mills. 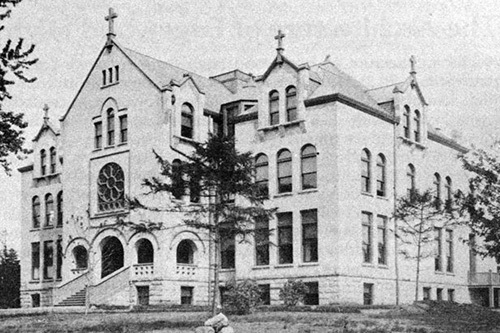 The sisters opened St. Regina Academy in the Edgewood Villa in August 1881 as a “school for young ladies.” Twelve years later, during construction of a new, four-story building, a devastating fire broke out in the mansion killing three students and destroying the nearly completed building. Only the carriage house remained standing, now known as Marshall Hall. 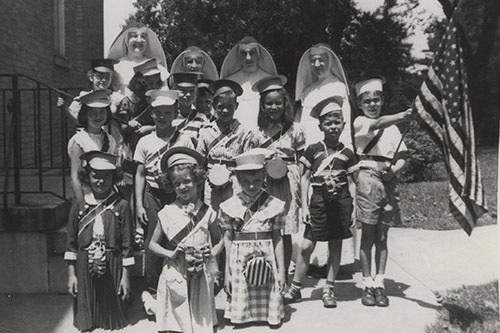 The sisters began reconstruction at once, reopening two years later as Sacred Heart Academy. 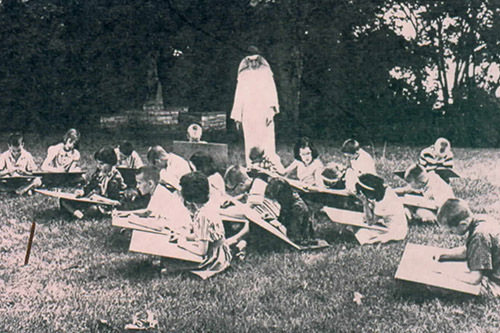 During the violent Spanish influenza epidemic of 1918, the academy was shut down for a month. As many as 40 students were sick at any given time; however, because of prayer and great care, none of the children or sisters died. A grotto was built in thanksgiving for sparing the academy family and stands to this day on the east side of the campus. 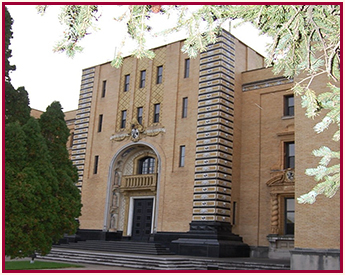 In 1927 Edgewood High School opened its doors as a co-educational high school, and the sisters also began a junior college for women in the same building. 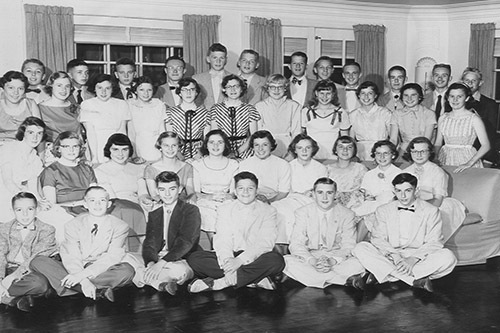 Thirteen years later Edgewood College became a four-year college. 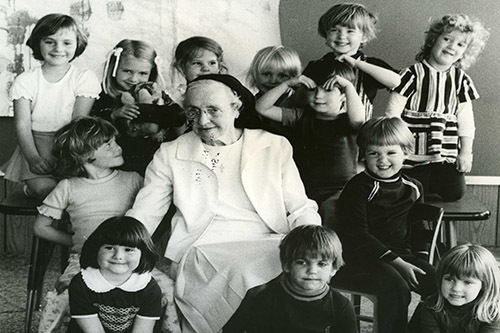 The current Edgewood Campus School facility opened in 1953 under the leadership of Sister Nona McGreal, OP. 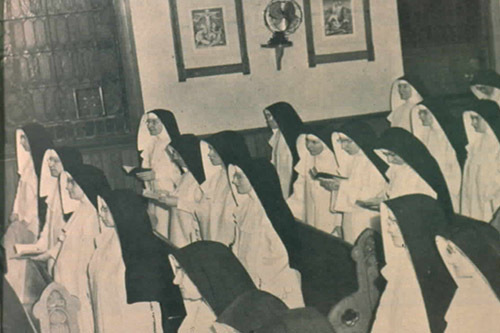 The school was staffed by Dominican Sisters who had advanced degrees from several different colleges and universities. The physical education building known as the Edgedome was completed in 1961. 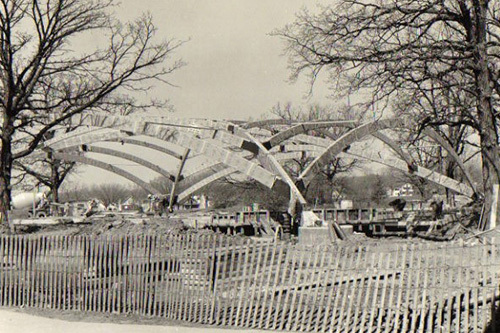 Inspired by Frank Lloyd Wright and the new “poured concrete design,” the 164 arched beams were made in Peshtigo, Wisconsin, and trucked to Madison. The concrete pylons at the four corners anchor the arched forms and carry the weight of the roof. There are no windows to cause glare to athletes or spectators. The Edgedome is the physical education facility and the venue for many school activities and events. 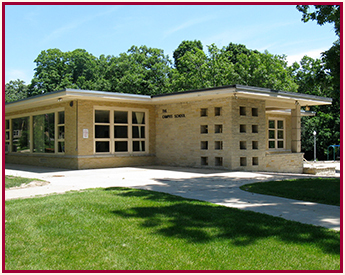 The Sondregger Science Center, built collaboratively by Edgewood Campus School, Edgewood High School and Edgewood College, houses science education classrooms and labs for all three schools. This building and the Edgewood science program have been hailed as a model for science education. The guest speaker at the 1999 dedication was astronaut Sally Ride, the first woman to go into space. In 2009 a new west wing addition to the Campus School was dedicated. The addition has three classrooms and a conference room. 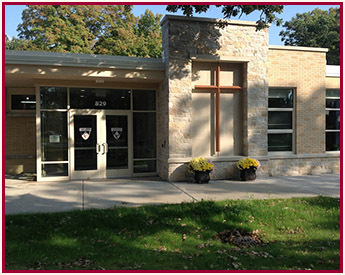 In the summer of 2013, the front entrance to the Campus School was remodeled to create a more esthetic and secure entry for students and visitors. A double buzz-in is now required for visitors to gain access to the school. The President/Principal’s office and the business manager’s office were revamped, and several other offices were added or renovated. A new boiler was added to the heating system, making the Campus School building more efficient and independent of other heating sources. Continuing renovations to the original Campus School building take place each summer. 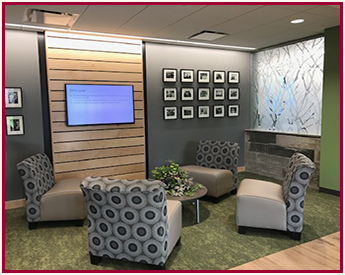 In 2018, the middle school, which is based within Edgewood High School, moved to a new location that is home to 6th, 7th, and 8th grade classrooms, a library media center, testing room, relaxation room, offices, and a student lounge area. Venerable Samuel Mazzuchell, OP Samuel Mazzuchelli, was born in Milan, Italy on November 4, 1806, descending from a family of merchants and bankers. 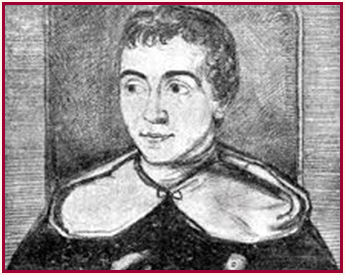 At age 17, Samuel entered the Dominican Order of Preachers against his father's wishes at a time when the Order was struggling. At the age of 22, this remarkable Italian-American came to the American frontier in 1828. After his priestly ordination, Cincinnati Bishop Edward Fenwick assigned him to be missionary priest of the whole of the Northwest Territory. Father Mazzuchelli traveled this vast area on horseback, in native canoes, and on foot to serve the people scattered on the vast Northwest frontier, from the Great Lakes to the Mississippi and beyond. Those who called him to ministry were families of native tribes and new immigrant settlers, miners, and farmers, as well as political leaders, Catholics, and Protestants. 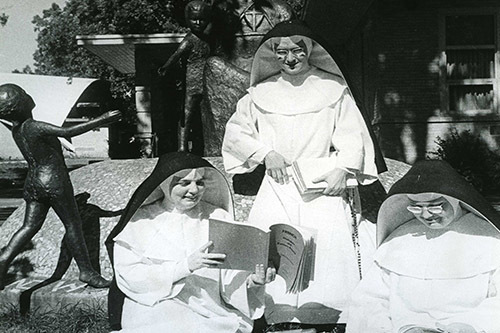 In 1847, he established a community of Catholic religious women, the Sinsinawa Dominican Sisters, to help him carry on his mission of preaching and teaching. He established many local parish communities that remain to this day, designing and building more than 24 churches and civic buildings before his death in 1864 at the age of 57. From that time until now, increasing numbers of people have asked his help in prayer. In 1993, Pope John Paul II declared Father Mazzuchelli Venerable, meaning he exemplified heroic virtues during his lifetime and was a servant of God, thus beginning the process of someday possibly recognizing Father Samuel as a saint in the Roman Catholic Church. 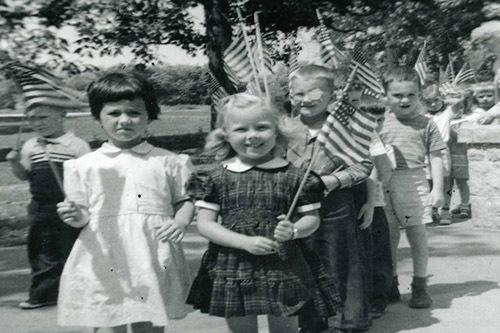 We Have a Rich, Deep Heritage Spanning Over 135 Years! 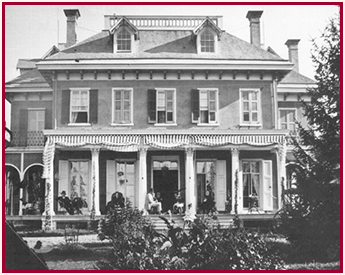 Edgewood Villa built on property purchased by John Ashmead from Wisconsin Governor Leonard J. Farwell. Samuel Marshall acquires the Edgewood property. Attorney, businessman, Civil War colonel, and congressman, Cadwallader C. Washburn serves as the governor of Wisconsin. Washburn purchases Edgewood estate from Samuel Marshall. 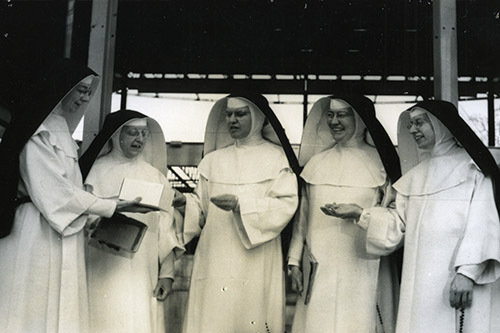 Washburn leaves Madison and gives his Edgewood property to the Sinsinawa Dominican Sisters. Construction on a new building commences. Fire destroys Edgewood Villa and the new building as well as taking the lives of three students. Rebuilding begins to replace the facilities that were destroyed in the fire. St. Regina Academy reopens in a new building and is renamed Sacred Heart Academy. Sisters and students are quarantined for one month during the Spanish Influenza epidemic. 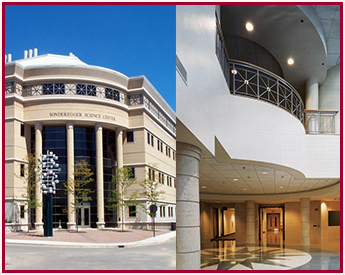 Edgewood High School opens to provide co-ed Catholic education for grades 9–12; Edgewood Junior College opens. Edgewood College becomes a four-year college. 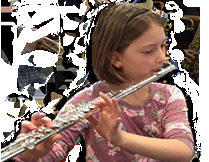 Current Edgewood Campus School facility opens. The Edgedome construction is completed. 7th and 8th grade Campus School classrooms are moved to Edgewood High School to allow space for music, art, and later computer classrooms in the Campus School building. Front entrance and playground are changed. Middle school area within Edgewood High School is renovated. West wing added to Edgewood Campus School with three new classrooms and a conference room. Front entrance and office area are renovated to enhance security. East wing classrooms, meeting rooms, offices, and restrooms renovated. 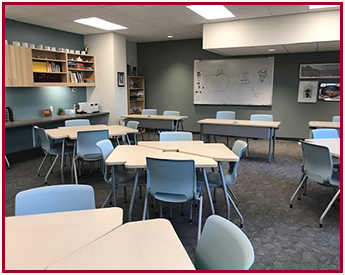 Middle school moved to a new location that is home to 6th, 7th, and 8th grade classrooms, a library media center, testing room, relaxation room, offices, and a student lounge area.